If you are painting with brushes, you will realise dotted results, especially when drawing straight lines. This is not very nice and looks bad. In most cases you can avoid this problem by setting the "stroke spacing" manually. Following you see an example what happens, if you change the spacing to a value of 10%. Be careful with the space settings: The lower the value the more cpu time a brush needs to be generated! 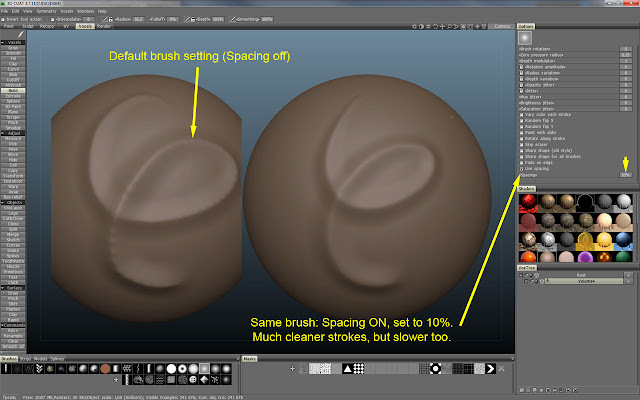 Example how to get smoother brush strokes.